Many people think bag or sock filtration is the cheapest way of fluid filtration. 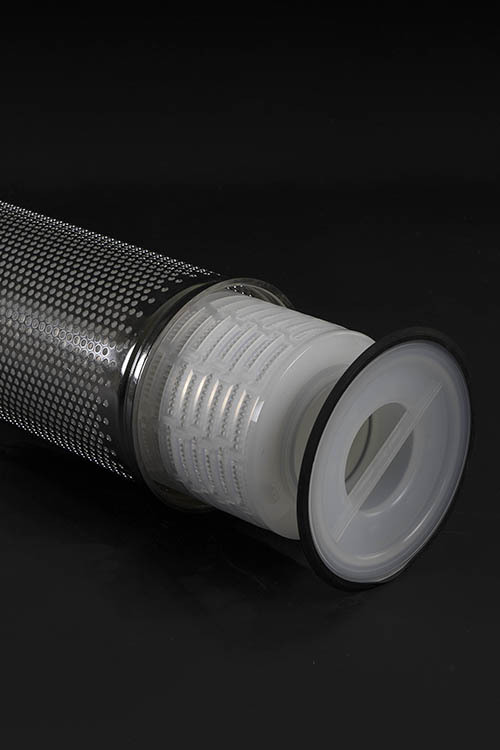 It is definitely the cheapest filling of filters into a filter housing. Bags are sold for a couple of USD each. But is it cheap and do they really work? Actually, it all depends on the quality of the influent and required quality of the effluent.A standard length 2 filter bag of PP felt or monofilament media has a nett surface area of 0.5 m2 (5.6 sq.ft). Which will result in a high flux. 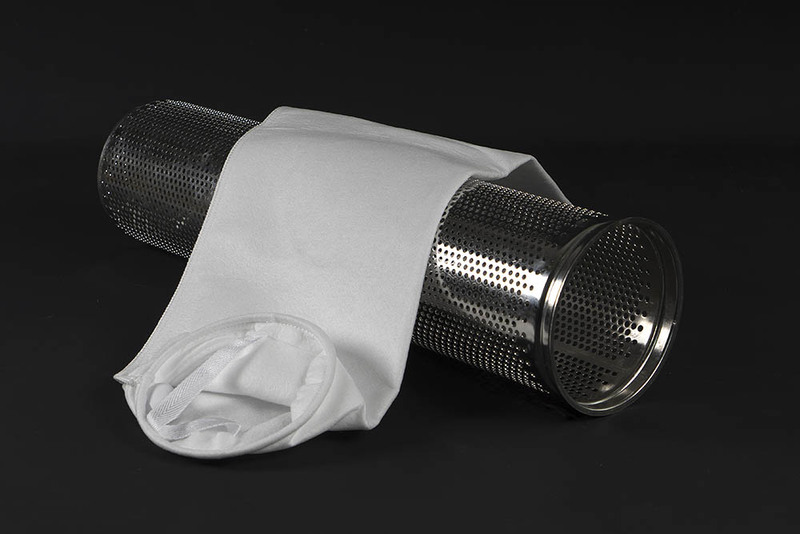 Bag filters are ideal for low efficient guard filtration of low solid fluids or really coarse filtration.The dirt holding capacity is low. Felt media bags are nominal rated with an efficiency of approx. 80%, higher efficiency filter bags are available but are plugging up really quick. A pleated filter will be a better option. One of the latest developments over the last years of filter bag producers is pleated bags. Pleated bags will increase lifetime significant but are expensive compare to pleated filter cartridges. (mainly due to the relative low production volume) Check the nett. surface area and efficiency to a standard pleated or high flow filter cartridge and a pleated bag is expensive. Dutch Filtration do manufacture the pleated filter bags. What is the best solution? Bag or cartridges? 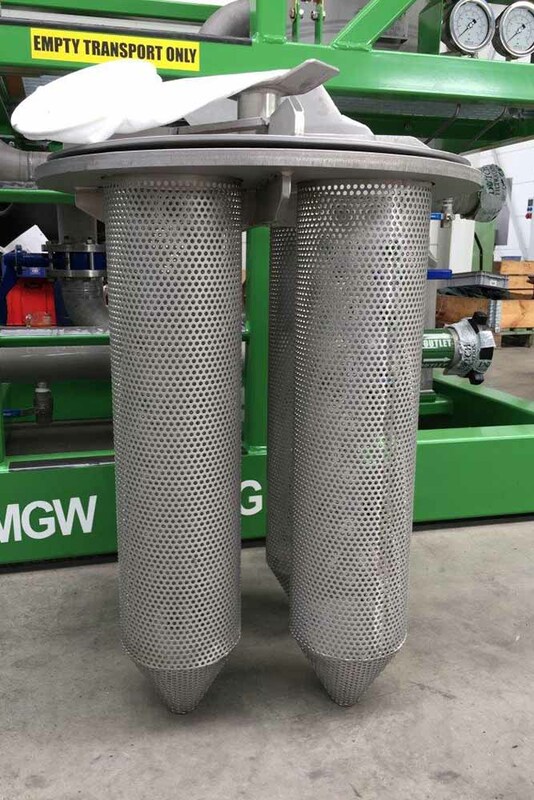 Dual or twin filter cartridge units for oilfield operation do have housings of 20 or 24inch OD. Each housing holds 4 filters bags or 50/52 filter cartridges (nominal or absolute rated). Cartridge housings with pleated cartridges will have easy 30 times more surface area compare to standard bags. The lower the flux (flow per area) over the media, the higher the dirt holding capacity, the higher the dirt holding capacity, the lower the cost of filtration, the longer the lifetime. 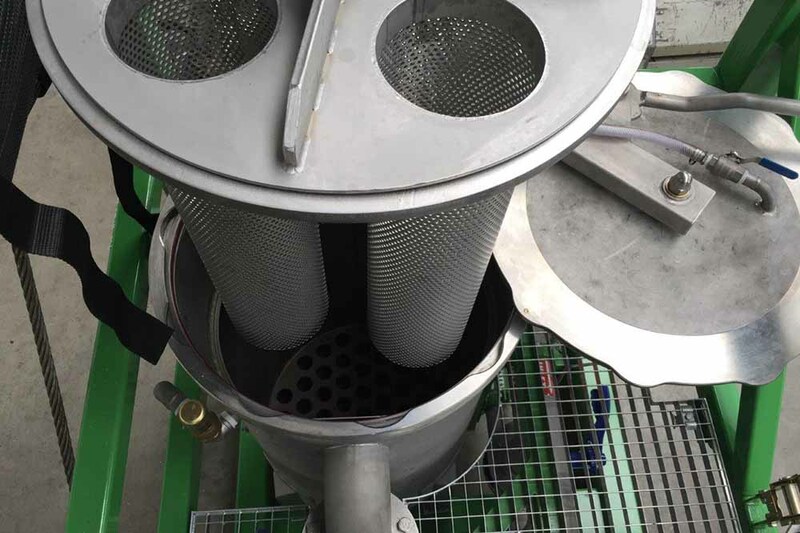 Sometimes it is the end-client who defines the way of filtration or depends what kind of filter unit is available, sometimes bag filter unit, sometimes cartridge filter unit. Always the type you do not have available. 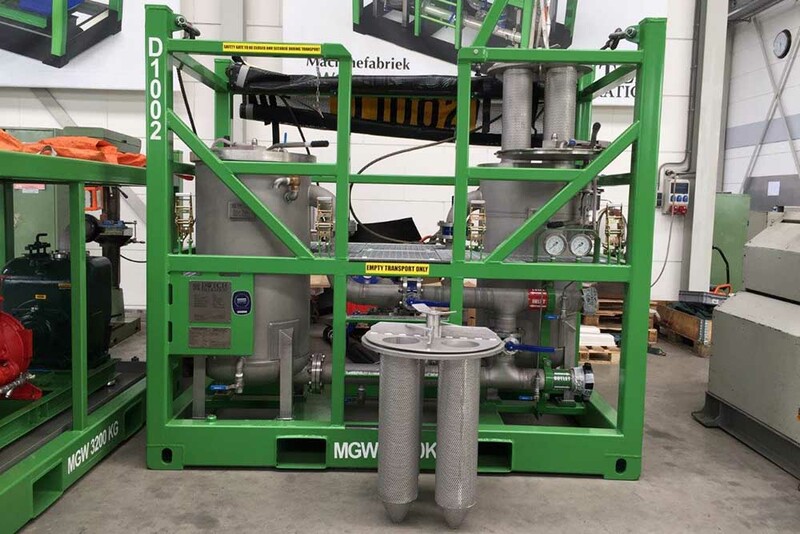 Dutch Filtration manufacture a combination filter unit which can be used as cartridge filter unit or as well as a bag filter unit. The unit is designed and built to convert easy without any tools to bag filter or back to cartridge filter. The unit can be even used with bag filter as pre-filter and polish with cartridge filter. The most flexible unit in the market especially with the Rudi quick opening closure and full DNV2.7-1 certification, the unit can be applied for any filter job, onshore an offshore. solid or oil removal from fluids. A basket holder will fit into the housing and is supported by a sealed ring welded into the houisng, 4 baskets per housing are fitted in. The dual or single vessel unit can be used as bag filter unit. Using as cartridge unit; easy remove the baskets and top plate. The Rudi quick opening closure will allow quick and safe change our of the filter cartridges or filter bags. The Dutch Filtration dual vessel combination cartridge bag/filtration unit is the unit to handle almost any filtration job.